Corporations have poured money into universities to fund research for decades, but now, the debate over bioengineered foods has escalated into a billion-dollar food industry war. Companies like Monsanto are squaring off against major organic firms like Stonyfield Farm. Both sides have aggressively recruited academic researchers. The biotech industry has published dozens of articles, under the names of prominent academics, that in some cases were drafted by industry consultants. Monsanto and its industry partners have also passed out an undisclosed amount in special grants to scientists ... to help with “biotechnology outreach” and to travel around the country to defend genetically modified foods. The moves by Monsanto, in an alliance with the Biotechnology Industry Organization and the Grocery Manufacturers Association, are detailed in thousands of pages of emails that were at first requested by the nonprofit group U.S. 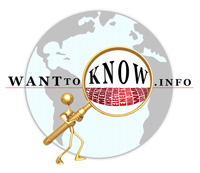 Right to Know, which receives funding from the organic foods industry. The emails show how academics have shifted from researchers to actors in lobbying and corporate public relations campaigns. An inner circle of [biotech] industry consultants, lobbyists and executives ... devised strategy on how to block state efforts to mandate G.M.O. labeling. The opponents of genetically modified foods have used their own creative tactics, although their spending on lobbying and public relations amounts to a tiny fraction of that of biosciences companies. Note: Read an article which takes it even deeper and shows what the NYT left out. For more along these lines, see concise summaries of deeply revealing news articles about the corruption of science and the controversy surrounding GMOs.